Have you ever really checked your janitorial service or in-house employees are actually cleaning as well as they should? Or do you find, the cost of your cleaning chemicals has gone through the roof? There may also be a case for damage you have not been informed of, all of these instances can leave you in a situation you could find yourself helpless. The best janitorial companies Edmonton will be on top of all these occurrences to make sure you are protected. By choosing SBS as your janitorial service provider, you can find our quote can include the cleaning chemical charge, so your budget from that aspect is fit, all usage is under our control. As respect to any damage, we are fully insured and have one of the lowest records of employee damaged within the industry. We have been in this industry for over 28 years, and are one of the best janitorial companies Edmonton has to offer, this we could not accomplish if we didn’t clean properly, we have thousands of clients who return to us due to the pride we take in our work, and the level of detail we put into our cleaning through our dedicated staff. We can also advise on the best service which will cover your building needs and be the most affordable to your cleaning budget, regardless of which service you require. To find more about other cleaning services, or our janitorial service you may find of a benefit in Edmonton, please visit our website swintonbuildingservices.com, or contact our cleaning specialists NOW who can be contacted 24/7, and 365 days per year on 780 – 939 – 2799 in Edmonton and receive your free quote. 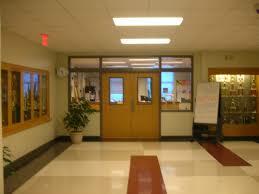 To see what the best janitorial companies Edmonton has to offer click here.